A licensed pharmacist since 1991, Kris Thorkelson has mastered the art of answering customer’s needs. He is the owner and founder of The Prescription Shop and owns two medical clinics that are attached to his pharmacies. 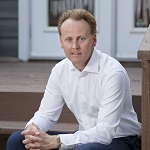 Having founded Canada Drugs in response to the rising costs of prescription medications, although still working in the pharmaceutical field, Kris Thorkelson has now branched out into real estate. He now helps lead My Place Realty, a property management company based in Winnipeg that specializes in helping home seekers find a place to call home. Thorkelson used his decades of experience in the pharmaceutical industry to guide his principles in real estate. Q: There are talks about a strong possibility that Amazon and Google will try to enter the pharma industry in 2019 – these tech giants are looking to industries such as pharmaceuticals in Biotech because they are considered a solid investment. What are your thoughts? A: Many pharmacists might not like this, but I truly believe that pharmacy will eventually be completely online. There will always need to be checks and balances to prevent abuse and ensure accuracy, but I think the growing presence of online pharmacies continues to be a welcome addition to brick and mortar pharmacies. Q: What changes in the pharma world do you think consumers can look forward to in 2019? A: I think there are a few things that those needing medications can look forward to with positivity in 2019. I think the pressure to provide quality medication at a reasonable price will lead pharmaceutical firms and providers to explore different payment plans. I also believe that traditional marketing will become obsolete, instead, aiming for target markets and building long-term relationships with consumers through focused groups. Q: I’m sure you have heard of blockchain technology. Many believe in real estate that blockchain could really reduce fraud and enable consumers to see much more data on individual properties. Would you like to see this type of technology used? Why or why not? A: We see a lot of requests for our properties from online sources. We are aware of the impact that technology has in the real estate world. Even online marketing can make all the difference in our industry, so I am sure, if there is a type of technology that could reduce fraud and provide consumers with more data, that it could only benefit the world of real estate. Q: Do you believe that virtual reality tours online negatively affect agents showing properties? A: I do not believe that it negatively affects agencies or companies. Virtual reality tours are part of online marketing, and online marketing is changing our industry. Virtual reality intelligence allows prospective tenants to see how a room would look decorated, or how to best utilize their future space. It is another example of technology being used to catapult an industry to the next level. Q: Many consumers are using what is known as “peer-to-peer” communication when it comes to buying and selling homes; basically, cutting out real estate companies and brokers to save some money. Does this trend concern you? A: I know many in our industry have had a knee-jerk reaction to this and have tried to limit information they share about listings in hopes to interfere with the communication, but I think the opposite should be done. I think increasing your company service offering and showing that you can add value to your customer’s lives by providing accessible, comprehensive data and information will combat peer-to-peer communication — that’s what organizations in the real estate industry need to continue to focus on.